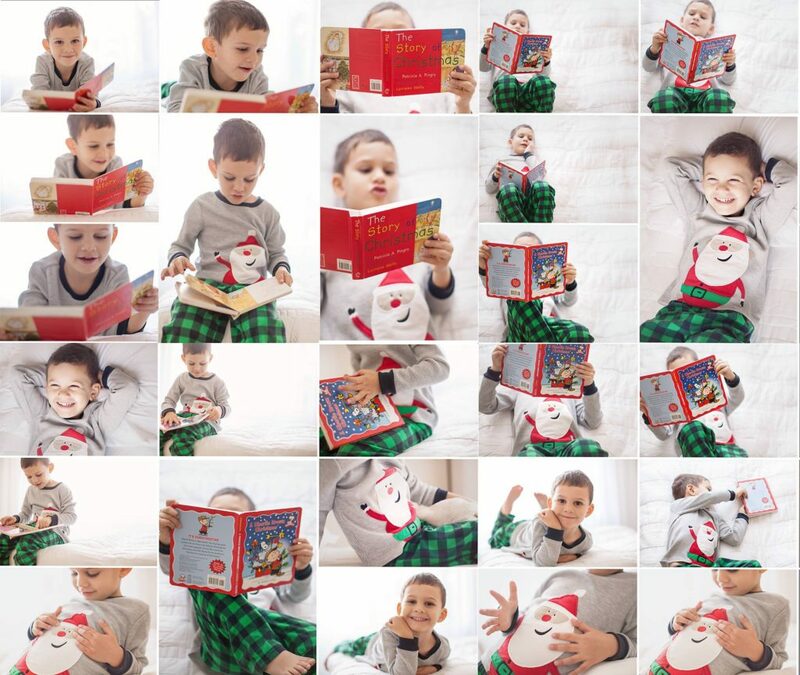 With Christmas coming so soon and most of decking the halls today, I want to share with you some simple tips on how to photograph your family during the holidays. For me, the magic of the holidays is all about tradition with certain things I look forward to every year. These are the moments I photograph. Every year we decorate our tree with personal ornaments we’ve collected each year since mom & dad’s childhood. No matter where we live, we find a holiday glittering lights display to drive through. Lots and lots of baking cookies and always gingerbread house decorating for the boys and I. Watching the classic movies of “The Sound of Music” and “March of Wooden Soldiers” to the contemporary must-watch “Elf”. These are just some of my fond holiday memories that fill my heart with love overflowing and taking the time to photograph these moments means me and my family can hold them dear forever. I wanted to share with you some easy tips I’ve learned to capturing these moments preserving all that emotion in one frame for timeless memories to revisit year after year. 1. TIMING: Children want to be IN the moment not cheesing and pausing and waiting while you interrupt by taking pictures. I tell my kids, I will take the camera out for only 5 minutes then it’s put away the ret of the time (no matter how much this tortures me). I also try to photograph the process, the experience as it unfolds without directing or bothering them in anyway for truly candid moments. 2. SET THE STAGE: Yes, I just said “candid” and “real life moments” BUT that doesn’t mean that I don’t tweak the scene to ensure the best looking photographs. Think ahead. For example: If we are going to a Christmas event that I know I’ll probably be taking pictures, I set out plain neutral clothes for the boys to wear. Win. Another example: When baking gingerbread cookies, I may pick the kitchen island instead of the counter due to better morning light and move things off the counter unrelated to baking so the background is best. 3. BLUR: In the photography world, we get all giddy when the Christmas lights come out for that gorgeous blurry starburst effect we get know as Bokeh. Best way to get that gorgeous Christmas tree light blur is by putting your subject far away from the background. This depth of field allows even the stinkiest lens or phone camera to still get that beautiful sparkle and twinkle. Try it! Be sure to focus on the subject in the foreground to get the desired effect (with a phone just tap the screen on your child to focus there). 4: CHANGE YOUR VIEW: When in doubt, move your feet- crouch low or stand on a stool shooting from overhead. A simple but ground-breaking tip is to change your angle when you are taking pictures. Getting down on your child’s level and taking pictures from their perspective allows you to see the holiday magic through their eyes. Or try taking the bird’s eye view from onto of a chair or ladder to take pictures of the Christmas morning aftermath of all the mess- the wrapping paper piles, stacks of unwrapped presents with your child in the midst of all of it in their Christmas PJs. 5: DETAILS: This brings me to my very favorite most important recommendation for you to change u your boring holiday photos and focus on the little things- because it really is all about the little things. Remember I told you about our tradition of collecting family ornaments each year? Maybe they’ll get lost one day. Or break. Or fade. But, now I have these images to remember them. And maybe I’ll get to show my grandchildren one day. Don’t be afraid to play with composition; that is feel free to crop in tight with out any heads in the picture or move your focus subject to the very edge of the frame instead of in the middle. Play, have fun. Please share your joy by sending me or tagging me in some of your social media pictures you take this season!